The Fairfax and Favor Premium Boot Tassels are crafted in the signature tassel style combining luxury tan leather with the iconic gold shield. The Fairfax and Favor Premium Boot Tassels are crafted in the signature tassel style combining luxury tan leather with the iconic gold shield. 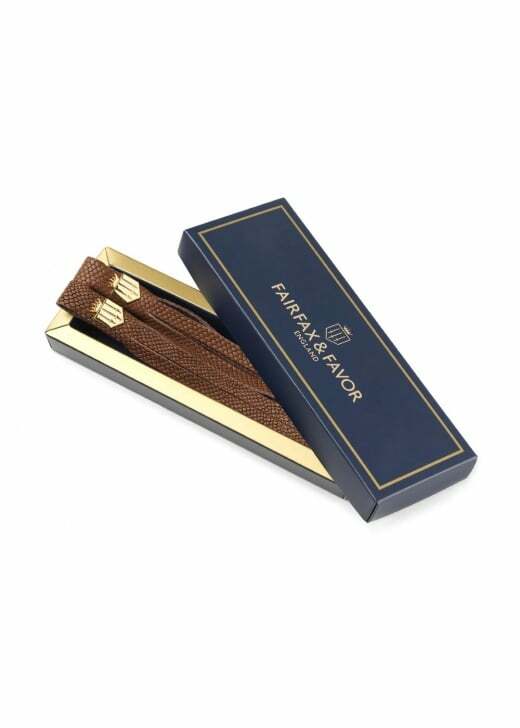 Packaged in a beautiful gold and navy box to keep your tassels in the best possible condition.